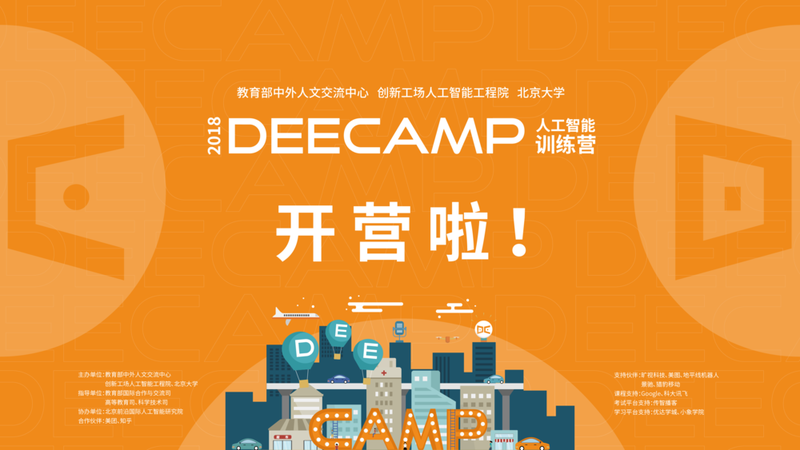 During my two-month visual design internship at the AI Institute of Sinovation Ventures, a technology investment firm in Beijing, China, I worked with another design intern, Xiuxiu Yuan, on the design of a full set of visual elements for DeeCamp, an AI training camp for college students. In the process, I was responsible for designing the main visual theme for the camp, and I completed the design from sketches to final digital production. DeeCamp is a program that aims to provide both theoretical teaching and hands-on project training for university students in a summer camp setting. It is part of a plan, entitled the International AI Training Program for Chinese Universities, which is a collaboration between a variety of stakeholders such as government bodies, private companies, and universities including Sinovation Ventures and Peking University. This year, DeeCamp attracted nearly 7,000 applicants from universities across China and overseas. Bearing in mind that our target audience is college students, we set our initial vision for the visual theme around technology and space, where we strive to feature DeeCamp as a welcoming yet adventurous learning environment. The keywords that we want to stress emphasis on are “camp” and “artificial intelligence”. 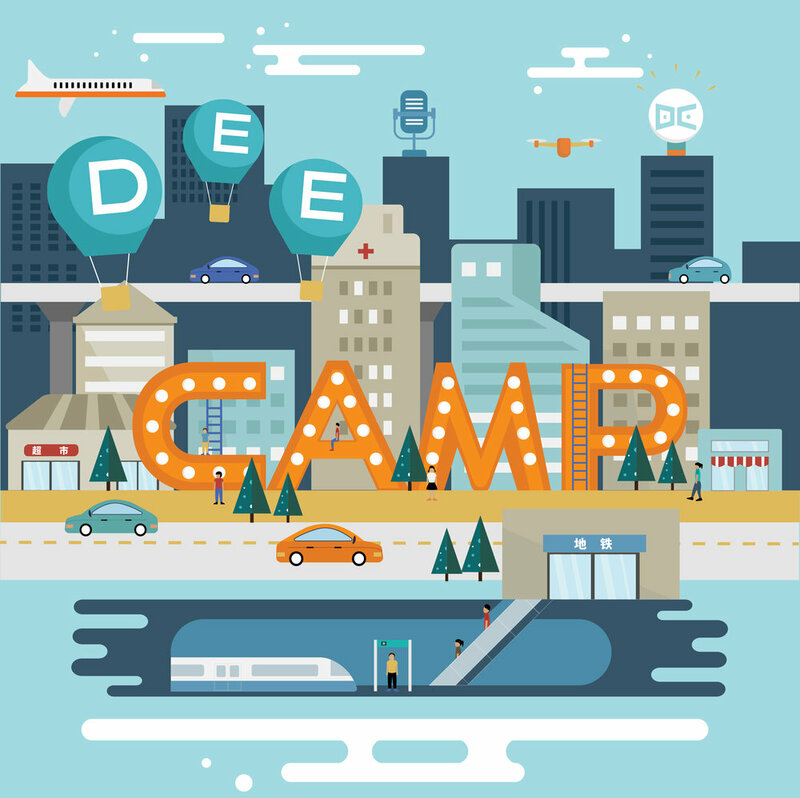 In the end, we decided to create a cityscape that features some of the projects that DeeCamp offered, which include driverless cars, speech recognition, and human-less stores. In order to portray a sense of liveliness and vibrancy, we used bright color tone for the illustration, with a specific emphasis on the foreground.